In 2014, Vladimir Putin took Crimea as part of the Russian Federation. But about two centuries ago, Russia, under Catherine the Great, did the same. Explore how Catherine the Great annexed the Crimean Peninsula more two centuries before Putin did. During the early months of 2014, the world watched how Russia retaken Crimea from Ukraine. The Russian army marched into the peninsula, securing Russia’s control. But Crimea had been part of Russia before all of this, during the times of the Soviet Union and the time of Tsarist Russia. Crimea was the apple of the eye of many Tsars. But a Tsarina managed to take the lands – Catherine the Great. With war and political maneuvering, she succeeded in annexing Crimea. Crimea is a peninsula located in the northern shores of the Black Sea. It is connected to Ukraine through the Isthmus of Perekop. It also separated the Black Sea from the Sea of Azov. In the Middle Ages, during the western migration of Central Asians, a group of Mongols settled in the Peninsula, who became known as Tatars and established a Khanate. For the following centuries, the Khanate flourished through trade and raid with the Rus in the north. For the Tsars of Russia, Crimea held a strategic value. For centuries, the raids of the Tatars to southern Russian towns were a menace and dictated the turn of Russian history several times. To capture Crimea meant an end to the Khanate and to the problematic raids that crippled the Russian frontiers. It also meant an expansion in the network of trade as well as the military capability for Russia. Control of the Crimean Peninsula meant access to the Black Sea and ultimately with the Mediterranean Sea and the rest of Europe. Its conquest for the access of the sea began with Peter the Great. After the Great Northern War, the Baltic Sea offered a glimpse of the west, but its freezing waters for more than half of the year limited travel for Russia. The warm waters of the Black Sea offered a better alternative. It would allow Russia to increase trade and communication with the west. In political and military terms, capturing Crimea meant better participation in the politics of the Balkans and Asia Minor. And for these reasons, Russia desired Crimea and its surrounding territories tremendously. At the time of Catherine the Great, Russia was at its pinnacle. The energy of military conquest and aggressive expansion soared once again, making Russia a great power in Europe and the largest empire in the world, spanning three continents – Europe, Asia and North America. While Russia boasted a golden age, otherwise happened in its surrounding neighbors in the south. The Ottoman Empire was in a state of stagnation and even decay. The Siege of Vienna in 1689 marked the end of her strong role in Eastern Europe. Incompetence, decadence and corruption of the Sultans and government officials led to its state. Although in peace, the once mighty Turkish Empire was rotting from the inside. The same also occurred to their client state – the Crimean Khanate. Centuries of prosperity through raids ended with the growing military capability of the Russians. The power of the Russian military in the early 18th century took away the number one source of income for the Khanate - plunder and slave trade. In 1736, the Russians inflicted a humiliating defeat for the Tatars when they burned the Khanate’s capital of Bakhchisarai. And so by the time of Catherine the Great, the Crimean Khanate and the Ottoman Empire were ripe for conquest. The conquest for Crimea began accidentally for Russia. 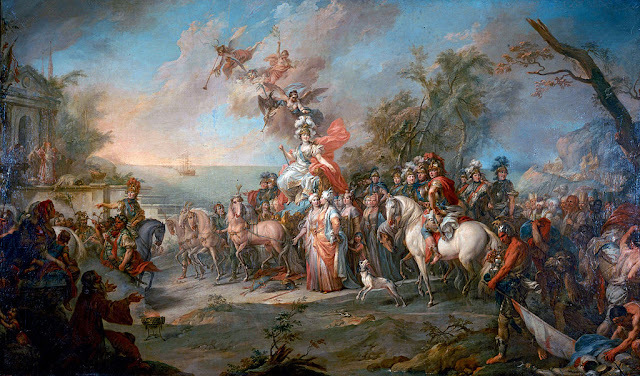 In the 1768, Catherine launched one of her major foreign policy project – the conquest of Poland. She installed her lover, Stanislaw Poniatowski, as the King of Poland. But not all Polish nobles welcomed the Russian-backed King and rebelled. Russian forces assisted in crushing the rebellious nobles. In September of 1768, a group of Polish rebels escaped to Ottoman territories. Russians continued to pursue them within the Turkish territory, leading to the burning of a town. In Istambul, due to the incident in the borders, war mongering officials, who saw war as a way to revitalize the empire, clamor for tough. Sultan Mustafa III gave in and declared war against Russia. Not much happened in the early stages of the war in the latter part of 1768. Ottoman armies did not completely mobilized until 1769. The Russians too only completed their troop deployment in the south until 1769 as well. But when the Russian forces under the command of Prince Alexander Golitsyn (Galitzine) attacked, they captured several towns and fortresses in the region of Bessarabia and the River of Dniester. Prince Golitsyn scored a brilliant military victory in Khotin (Khotyn). Meanwhile, in Ukraine, Russian troops began to push towards Ukraine, capturing towns and fortresses leading to the mouth of the Don River. They aimed to capture the port of Taganrog and secure the fort of Azov. 1769 and 1770 saw numerous actions. For the Russians, Golitsyn's slow advanced caused his relieve from command and replaced by General Peter Rumyantsev (Rumiantsev). Under his command, the Russians continued to advance to Crimea, Bessarabia and Moldavia. In 1769, Russian forces advanced south to Crimea, capturing Azov and Taganrog. Russia also captured more fortresses in the Dniester River and even in the Prut and the Danube River. In 1770, Russia created another theater in Greece. Yeorghios Papazolis, a Greek Officer in the Russian army, convinced Alexis and Feodor Orlov, who were high ranking military officers who commanded great favors from Empress Catherine, to go to Greece and instigate a rebellion to cause further chaos in Istanbul. On that year, the two Orlov brothers arrived in Greece along with a squadron of Russian warships from the Baltic Fleet. The brothers began a rebellion with local Greek support and caused a huge stir in the region. In the Aegean Sea, the Russian Navy scored another brilliant naval victory in the Battle of Cesme on July 6, 1770, where fire ships destroyed a sizable part of the Ottoman Navy. In 1771, however, conditions at home led the Orlov Brothers to withdraw from Greece, leaving the Greek fighters to certain annihilation on the hands of the Turks. In 1772, talks for peace began. Nothing much came up from the peace talks on that year. But Russia made it urgent for its conclusion. First, disease began to take a toll on the armies in the south. Secondly, Catherine needed his armies in the south to control a crisis closer to home. The Pugachev Rebellion, which began in Siberia, threatened to capture Kazan and the ancient capital of Moscow. Catherine needed his troops in the south to return north and quell the rebellion. In 1773, nothing came up once again. But in June 25, 1774, Russia advanced to the Danube River and beat the Ottomans in the Battle of Kozludhi (Kozluca or Kozludja). It forced the Turks to accept a peace treaty. On July 21, 1774. Russia and the Ottoman Empire signed the Treaty of Kuchuk Kainarji (Kucuk Kaynarca). Under the terms of the Treaty, Russia gained the land between the Bug and Dnieper River. It secured free commercial access for Russian trade ships through the Bosporus and the Dardanelles. For the Ottomans, they maintained control of the fort of Ochakov in the Bug River. It also had to recognize the independence of the Crimean Khanate, allowing the Tatars to elect their new Khan. But the Treaty also obligated Russia not to station troops in the Crimean Peninsula. Russia made sure to keep some of the articles of the treaty confusing in order to provide a future pretext for a conflict. Such as, the treaty indirectly made Russia defender of the rights of any Orthodox Christians in the Ottoman Empire, including Crimea. Surely enough, Russia wanted another conflict to secure further Russia’s control of Crimea. Catherine decided to strongly secure Crimea. Catherine realize that capturing Crimea would enhance her prestige and her position as Tsarina. About a decade before, she took power through a palace revolution ending with the assassination of her husband the Tsar. She crowned herself instead of Paul, their son, which naturally was the rightful heir. In other words, she was a usurper. The Pugachev Rebellion scared her of losing her crown and her life. And so, she looked for ways to strengthen her position. She saw the achieving of Russia’s long time dream to gain access to the Black Sea as an opportunity to cement her power. Thus, she looked for ways to achieve this goal. An opportunity came immediately after the war. After the Russo-Ottoman War ended in 1774, the Crimean Khanate suffered further internal political chaos. Russia supported Sagin Giray (Sahin Giray) as the new Khan of the Crimean Khanate. Sagin Giray had been a Tartar educated in Venice and visited St. Petersburg. With the Sagin Giray’s charm, disposition for western ideas and political value, Catherine the Great supported him. In 1777, Sagin Giray became the Khan of Crimea. His championing of reforms base on western models and tolerance towards foreigners led to massive discontent and anger among the Tatar nobles. As a result, the disgruntled nobles dethroned him. The Ottoman Empire then instigated the Tatars to kill Russian Orthodox Christians in Crimea. Many Orthodox Christians sought refuge in Russia. Then, Russian forces came in to Crimea to restore order and restore Sagin Giray as Khan. In 1778, an Ottoman fleet sailed to Crimea to forcefully depose Sagin Giray. But eventually, in 1779, both sides decided to deescalate the tensions when Russia agreed to withdraw their forces in Crimea if Sagin Giray remained Khan. And so, Sagin Giray remained Khan for another three years until another major revolt erupted in Kuban. Russia took the revolt as an opportunity to finally take Crimea once and for all. When Sagin Giray sought once again the assistance of Russia, it offered only one thing to the Khan – annexation. Sagin Giray had no choice. He accepted annexation in exchange for safety and on April 8, 1783, Catherine the Great signed the decree that declared Russia’s annexation of Crimea. Sagin Giray went to St. Petersburg, but eventually felt like a prisoner and wanted to leave. The Russians allowed him to go to a humble Greek City for retirement. 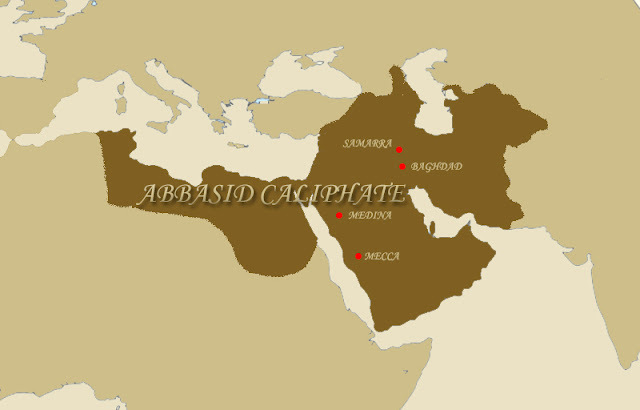 But the Ottomans took Sagin Giray and took vengeance on him. The last Khan of Crimea was executed in 1787 ending the history of centuries of Khans. After the annexation of Crimea, Russia cemented its rule over Ukraine and Crimea. Russia established its naval base in Sevastopol in Crimea, which served as the new headquarters of the Russian Black Sea fleet. It also turned Crimea into the province of Taurida and made it part of the region called “New Russia.” Catherine placed Grigory Potemkin as its governor. 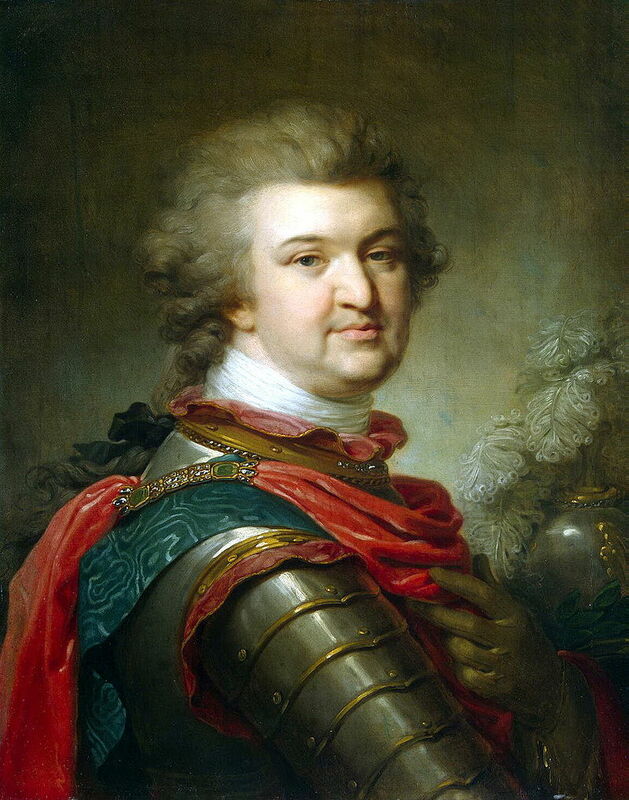 Potemkin established new Russian settlements in the region to cement Russian contol. Catherine the Great, along with the Holy Roman Emperor Joseph II. proudly toured the region and showed the prosperous Russian settlements that Potemkin established. The Western Europeans looked in disbelief and spread rumors of fake villages that they dubbed as Potemkin Villages. Besides surprise, there also existed a feeling of anger coming from the Ottomans. The Ottomans went into fury after Catherine’s tour of New Russia. They also felt cheated with the Treaty of Kuchuk Kainarji. And so on August 19, 1787, the Ottomans attacked Russians in Ukraine. In the following year, Russia launched a counter attack with a huge army numbering around 100,000 and attacked the fortress of Ochakov in the mouth of the Dnieper River. The fortress resisted for months until it fell in December 1788, leaving 9,500 Ottomans dead and 4,000 captured. From 1789 to 1790, the Ottomans continued to suffer defeats and heavy losses. The Russian navy cleared the Black Sea of any Ottoman warships. The Austrians joined the prey on the side of the Russians. With overwhelming force, the Ottomans sued for peace in 1791 and a treaty was signed in 1792. The Treaty of Iasi or Jassy, signed on January 9, 1792, ended the 1783 to 1791 Russo-Ottoman War. The Treaty gave the fortress of Ochakov to the Russians. And it forced the Ottoman Empire to recognize Russia’s annexation of Crimea. Russia and Catherine the Great, succeeded in taking Crimea and its long desired access to the Black Sea. Catherine the Great passed away in 1796 as one of the most powerful woman rulers in the world. Russia gained its access to the Black Sea and allowed it to play a key role in the Balkan Regions and Europe. Eventually, in 1850’s, Crimea went again to the limelight when it became the center of a conflict known as the Crimean War. But after the conflict, Russia kept its control on the peninsula. For the Crimean Tatars, they suffered centuries of discrimination and deportation. There numbers dwindled until they became a minority within their own lands. Catherine’s annexation and Putin’s annexation of Crimea had similarities in some ways. For instance, Catherine annexed Crimea as part of her enhancing her power and securing her position as Tsarina. Putin did it in order to inflame nationalist fervor turning the image of his government’s image from a kleptocratic to nationalistic. They also have similarities in the timing of their annexation – a time of political chaos. Catherine took the internal dissent within the Crimean Khanate to impose Russia’s annexation. Putin did the same. He annexed Crimea when protest in Ukraine’s capital Kiev ousted the pro-Russian president Victor Yanukovych. With this, Catherine the Great’s actions in the past had resemblance to what Putin did in 2014. Catherine the Great annexed Russia in the some ways parallel to that of the present. She used Russian muscle to impose her will and to protect her political position. She saw an oppurtunity of weakness both in political and military terms and exploited it to her advantage. As a result, with the power of her military, she succeeded in her goal of annexation. Eventually, more than two centuries later, another Russian leader decided to the same way. Only time and politics would tell, if Russia would keep Crimea at the present. Agoston, Gabor and Bruce Masters, Encyclopedia of the Ottoman Empire. New York, New York: Facts On File, Inc, 2009. Figes, O. The Crimean War. New York: Metropolitan Books, 2010. Finkel, Caroline. The History of the Ottoman Empire: Osman's Dream. New York, New York: Basic Books, 2005. Kliuchevskii, V. A Course in Russian History: The Seventeenth Century. New York: M. E. Sharpe, Inc., 1994.